Southern California dog owners have been wary of feeding their pets jerky treats made in China, ever since the products were linked with the deaths and illnesses of thousands of animals. 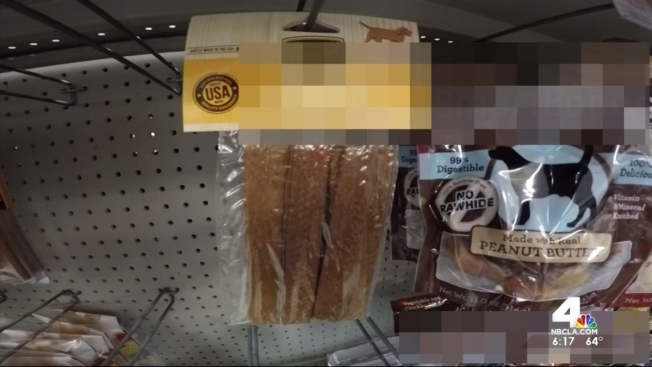 But jerky treats labeled "Made in the USA" may pose a risk to your pets’ health as well, the NBC4 I-Team has learned. Since 2007, the Food and Drug Administration has received approximately 5,000 reports of illnesses which may be related to consumption of the jerky treats. While a specific toxin or poison has never been identified, the FDA believes there is an association between many of the complaints and consumption of jerky pet treats imported from China. But even treats manufactured in the United States could be dangerous, because while many of the products are, in fact, assembled in the USA, they could still include ingredients sourced in China, the Food and Drug Administration has confirmed to the I-Team. "Manufacturers do not need to list the country of origin for each ingredient used in their products," said Martine Hartogensis, Supervisory Veterinary Medical Officer for the FDA’s Office of Surveillance and Compliance, in a new video released in response to questions about ongoing safety concerns. "I don’t recommend pet owners feed their pets jerky treats until the FDA can actually tell us what in the jerky treat is actually causing the sickness," said Studio City veterinarian Dr. Julio Lopez. Los Angeles residents Henry Alvarez and Lynn Thanarajakool say they’ll never feed a pet a jerky treat again, no matter where it’s manufactured, after their beloved Dachshund Kingsley died within days of eating a treat from a package labeled "Made in China." "I only gave him one treat and it was Wednesday night and he started feeling sick by I would say noon the next day," Alvarez recalled. The couple rushed Kingsley to the veterinarian, but by Friday evening his system completely collapsed. "We watched him die and it was tragic," Thanarajakool said. The Alvarezs told the I-Team their vet ruled Kingsley’s cause of death as kidney failure, one of the many symptoms identified in FDA warnings related to feeding pets chicken, duck or sweet potato jerky treats. 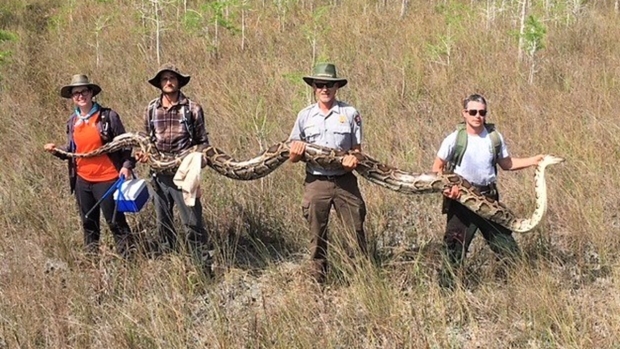 "If I hadn’t bought (them), he’d still be alive right now," Alvarez said. The couple has since adopted two dogs who they say will never know the taste of a jerky treat. The FDA says it will continue to work with laboratories around the country to investigate the causes of the illnesses. To report a complaint about any pet food to the FDA, visit their pet food complaint page here. If you want to submit a complaint to the FDA specifically about the jerky treat products or want to learn more about the issue, visit the FDA's jerky pet treat information page.